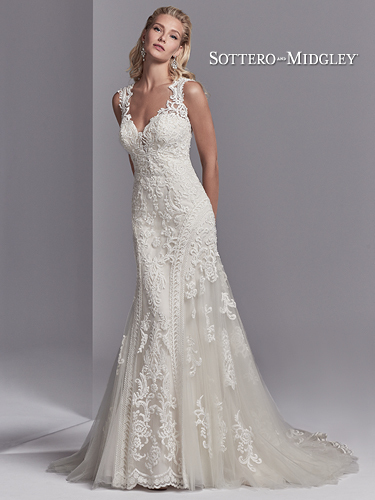 This wedding dress features striking lace motifs accented in beading atop tulle. Embroidered lace borders the tulle on either side of the fit-and-flare skirt. 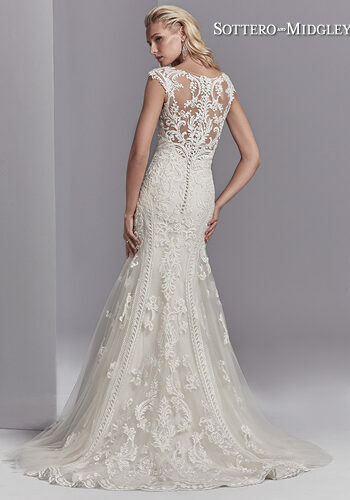 Featuring an illusion plunging sweetheart neckline, illusion straps, and an illusion open back, all accented in lace motifs. Lined with shapewear for a figure-flattering fit. Finished with covered buttons over zipper closure.